Thanks Stewart and thanks for your donation. I've reached my goal but the girls are still struggling to meet theirs. We've generated more interest from Harley fans than from family! I am walking about 6 miles every other day - mostly in the dark. I have an array of walking boots, shoes and sandals. They ain't pretty! I went to bed early last night but arose at 6am, as usual-excited. So much thanks to those who have donated. There were so many wonderful walkers who'd lost loved ones to breast cancer and so many smashing volunteers who make the whole night possible. 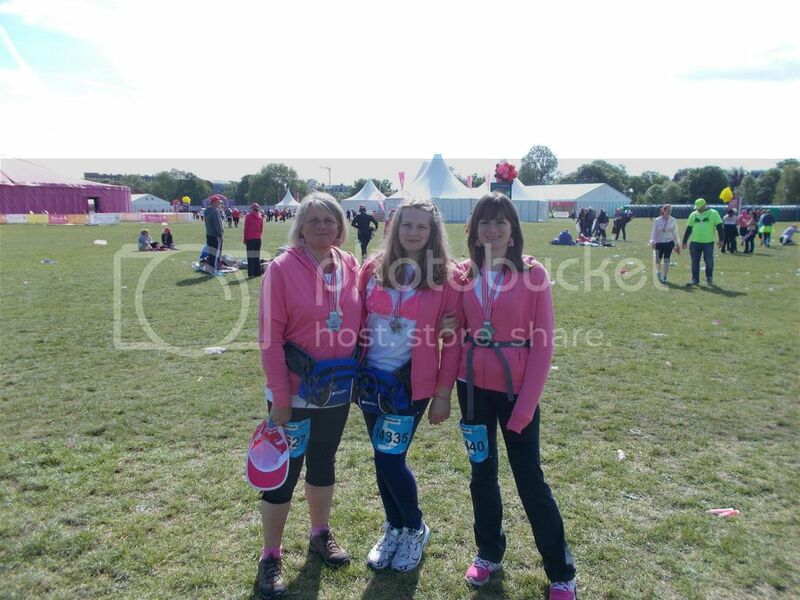 We did our bit and walked the walk to raise sponsorship money. Here we are with our medals this morning. Excellent, well done Stella - you're a star. 26 miles is quite an achievement and for such a worthy cause. Thanks Midge. But truly, I was among thousands of stars last night!